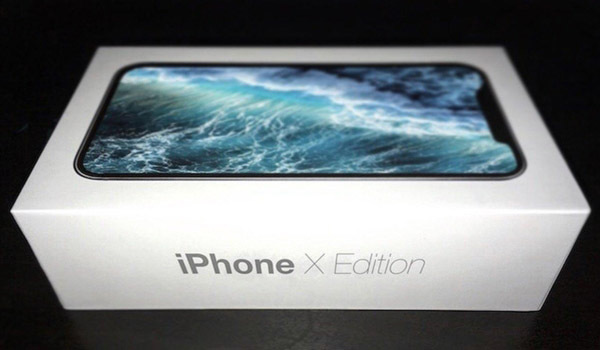 Finally seeing a picture of the iPhone 8 retail box may be good news for some iPhone fans, a sign that Apple is indeed going to release the phone at some point in September, instead of delaying its launch. But it’s likely a fake, and it’s so bad it’s hilarious. iPhone picture on the purported “iPhone X Edition” box shows one detail that seems to be out of place. The standby/power button on the right side appears to have the same size you’d expect from older iPhones or iPads. But the iPhone 8 — or whatever Apple ends up calling it — will reportedly feature a taller standby button. Also, why is that picture so out of focus? Why don’t we have a close up of the phone on it? After all, Chen went through all the trouble of posting additional images, showing the “iPhone X Edition” logo, and that purported wallpaper — you can see them above and below. But no close up on the one thing we want to see most?